As many of you guessed, our mystery seeds from last week were apricot seeds, Prunus armeniaca. Apricot trees produce their lovely pink flowers in spring. Once the flowers have been pollinated, they begin to develop fruit. The apricot fruit are either eaten fresh or dried. For example, we recently made a fresh apricot pie with a coconut crumble topping that was very good. We also like to use dried apricots in scones. As you probably know, the fruit has a hard pit at the center. If you open those pits, the seeds inside resemble almonds. Believe it or not, those seeds may be controversial. The apricot seeds have been shown to contain amygdalin, a chemical which may be converted into the toxin hydrogen cyanide. However, apricot seeds are sometimes used as food or in beverages. So, are they safe to eat or not? Factors such as variations in amount of amygdalin in the seeds, differences in how an individual metabolizes the amygdalin, and/or how many seeds are consumed at one sitting may influence whether or not a person becomes ill from eating them. Have you ever eaten apricot seeds? What do you think? 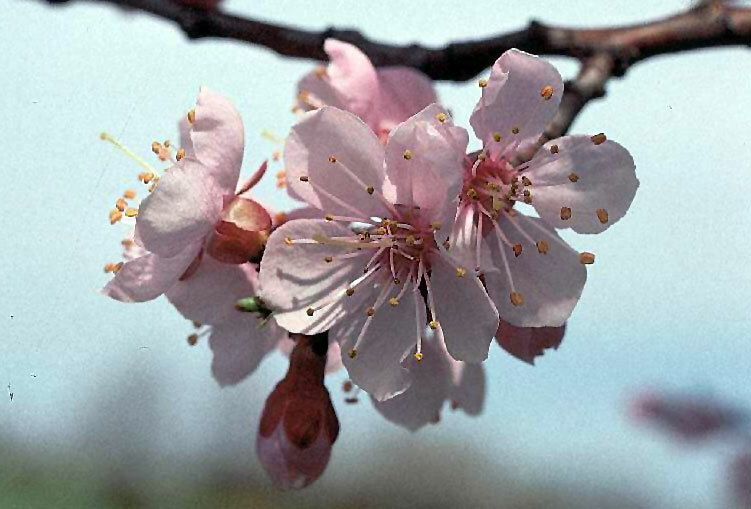 *Apricot flower photograph from USDA-NRCS PLANTS Database / Herman, D.E., et al. 1996. North Dakota tree handbook. USDA NRCS ND State Soil Conservation Committee; NDSU Extension and Western Area Power Administration, Bismarck. Cyanide, believe it or not, is a dietary expectation within biologically rational quantities. Cyanide within the body is transformed into another substance called, 'thiocyanate'. Sickle cell anemia is a thiocyanate deficiency disease. Do you see what I'm getting at? Hundreds of foods we consume daily contain dietary cyanide. Provided that we don't overwhelm our natural capacities to process it safely, there is no danger. Cyanide is not an accumulative toxin. That said, it is totally possible to eat too many apricot kernels and feel quite unwell as a result, but a fatal dose is a very large quantity and highly unlikely. So unlikely, in fact, that it has never been medically reported in a documented, verifiable way. That is a fact that should surprise anyone vaguely familiar with this controversy. Amygdalin (vitamin B17) is found in very different quantities from apricot kernel to apricot kernel. 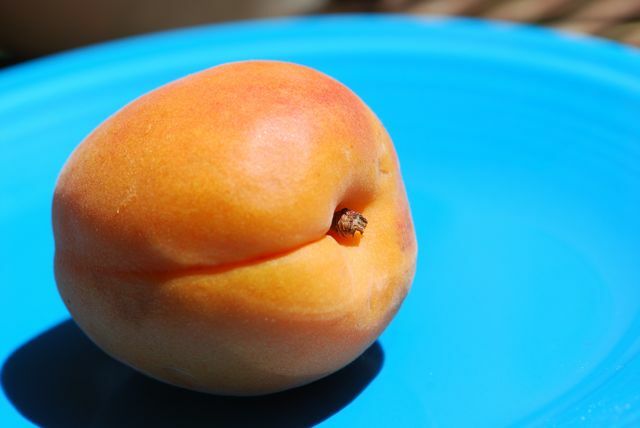 The choice of apricot kernel used by an individual is critical in the success one experiences. There are so many apricot kernels available on the market now, many of which are sweeter varieties that contain very little amygdalin. 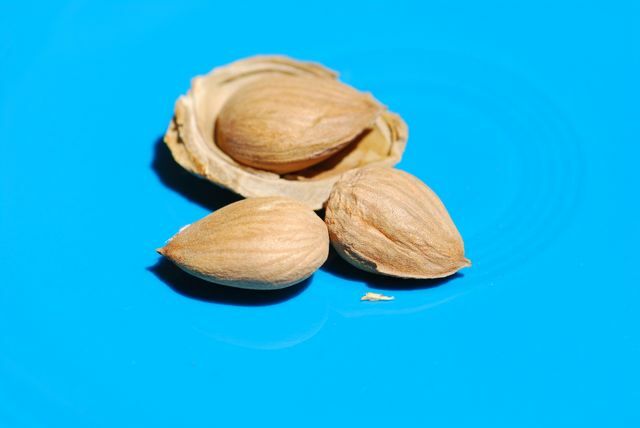 They may be mildly bitter, which classes them as a "bitter" apricot kernel, but the concentrations of amygdalin don't begin to approach therapeutic values. One would have to consume very large quantities in order to experience benefit, which is simply not practical, nor healthy. Apricot kernels contain a high level of fat, which becomes detrimental in itself at high doses. Therefore, amygdalin concentrations in the chosen kernel must be exceptional and potent. These are the kernels referenced in the available literature of note. Sadly, most sellers of apricot kernels are taking advantage of the ignorance that prevails, or they're simply not educated about the product themselves. Poor quality apricot kernels are being imported from poor countries, such as Pakistan and India for little more than $1.00 per kilo. These kernels are then being packaged and marketed with fanciful tales and sold at great profit to the benefit of the vendor - not to the user. My advice is that people purchase from, at least, two different sources. Try to buy from a reputable source where others have already confirmed that the kernels being offered are fresh, healthy and amygdalin-rich. Don't be lured by "Hunza" apricot kernels, as these are nothing more than Indian and Pakistani kernels of greatly inferior quality. Most of the varieties of apricot grown in these regions are sweeter varieties. You'll find this to be true if you do some research. Try to purchase local kernels if possible, or import personal quantities from a country offering very bitter kernels. Apricot kernels imported enmasse are treated, either chemically or with radiation, but personal quantities won't receive such treatment. Thank you for clarifying how this works and for your link. Do you study this?